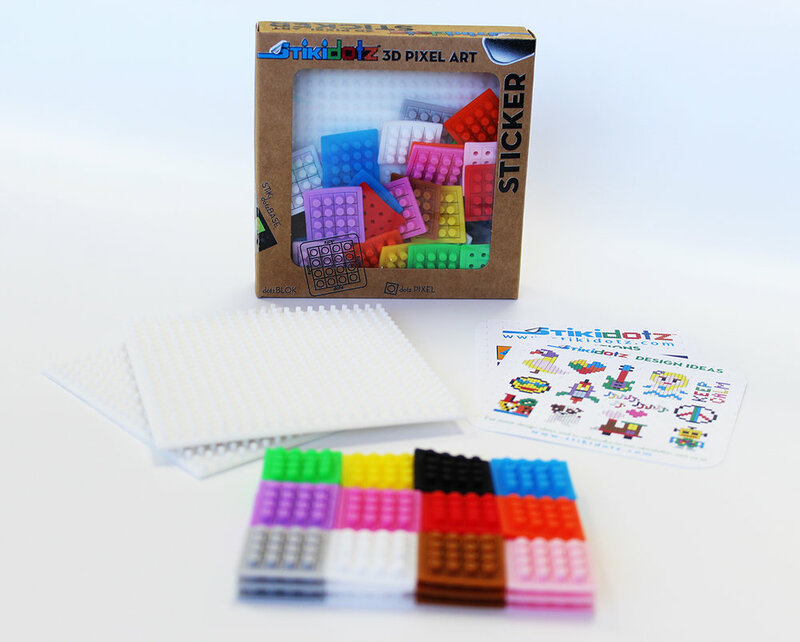 The Starter Pack is a fast and fun way to begin your pixel art adventure with STiKidotz. 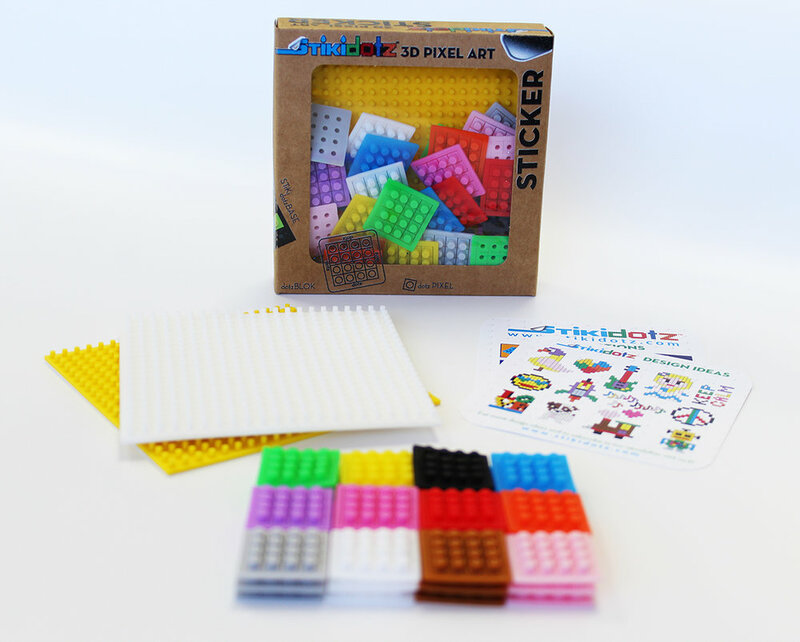 Everything you need is in one square box to let you start creating your one of a kind stickers. The stickers can be cut to fit your design. 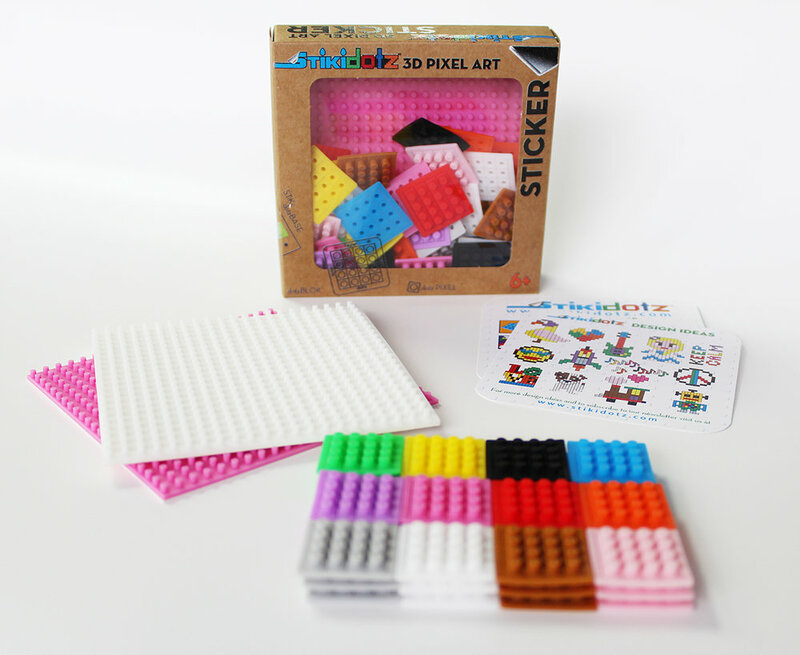 Check out our tutorials to see how creative and flexible STiKidotz can be. 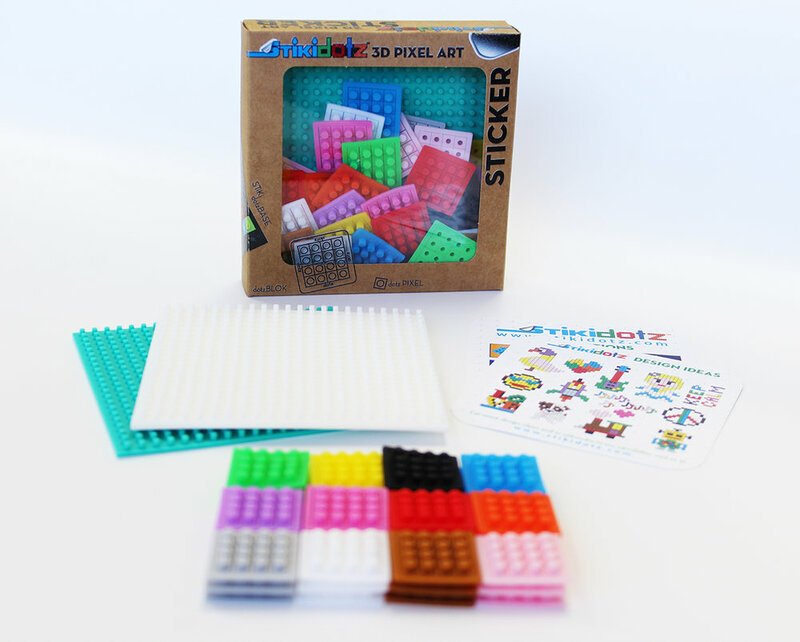 Each sticker is backed by a non-toxic adhesive, specially formulated to allow you to stick your design on any smooth surface. It can be removed and repositioned without leaving any residue behind. The sticker can be used on walls, windows, lockers, car bumpers, refrigerators, photo frames, signage, cabinets, mirrors, bath tub, tiles and more. The stickers can also be used outdoors regardless of rain or shine. Starter Packs come with 8 color options. 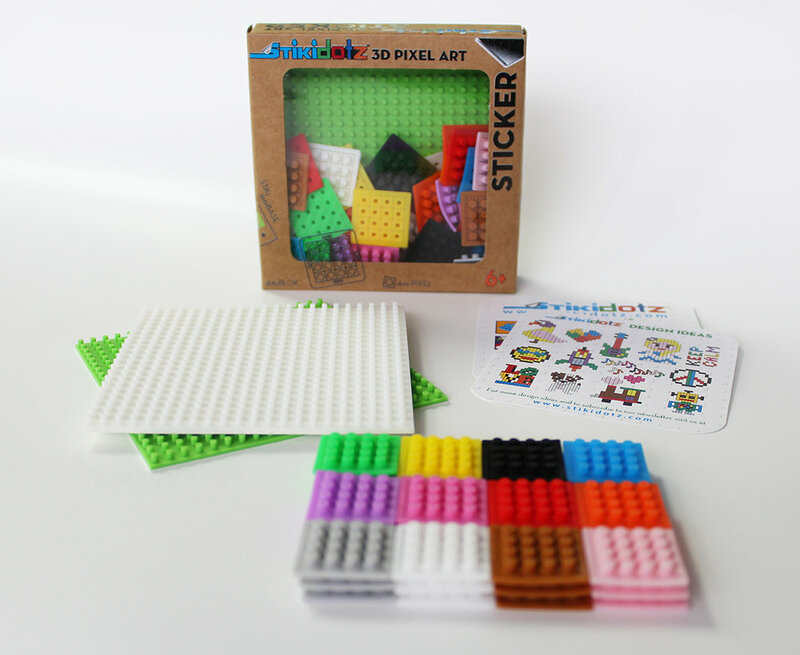 Each box contains two 20x20 pixel stickers, one white and one optional color (options are orange, white, pink, yellow, red, purple, pear green and lime green), 36 dotzBLOKs, an instruction card and some design ideas.